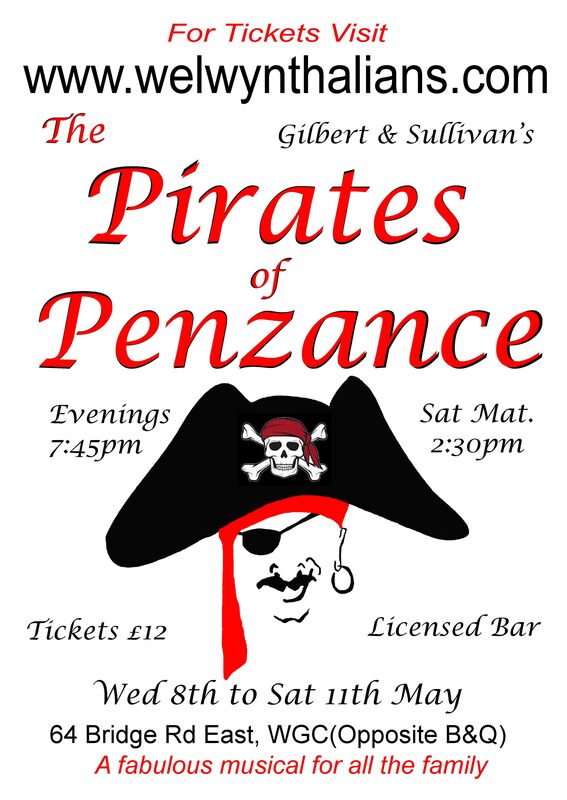 Welwyn Thalians are proud to present Gilbert & Sullivan's much-loved comic opera The Pirates of Penzance. A highly anticipated new and modernised production of this well know classic under the direction of Amanda Sayers. It is a showcase of brilliant humour and razor-sharp wit and features a sparkling score chock-full of memorable melodies and catchy tunes. The superb line up includes Adam Beckman as The Pirate King, Melanie Plowman-Cobb as Mabel, the ever-versatile Clive Dancey as the very model of a modern Major-General and Alex Ryde as the innocent pirate-apprentice Frederic.